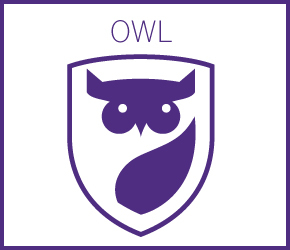 OWL is Western's online learning management system. It is home to official Western undergraduate and graduate courses, Western Continuing Studies courses, the Preceptor Education Program, and Human Resource courses, as well as independent, department, and group project worksites. If you are a Western faculty, staff, or student, please use your Western Identity user id and password to log in. If you do not have a Western Identity user id and password, but have been invited to participate in an OWL project or course, please enter your non-Western email address and password. To log into OWL go to owl.uwo.ca . Documentation and help can be found at owlhelp.uwo.ca .